Ok, so you’ve invested in some cryptocurrency. Now what? Do you leave it in the exchange or with the service that you bought it from? Perhaps, but it’s not recommended. If an exchange is hacked, then what happens to your money? Cryptocurrency exchanges and servers hold vast amounts of currency and are therefore major targets of hackers. There have been numerous examples of exchanges being hacked, with the hacking of the Mt Gox exchange in 2013 being one of the most prominent examples. In that hacking event more than 850,000 Bitcoin were stolen, valued at more than $450 million at that time and over $3 billion at September 2017 rates. Some services such as Coinbase claim that all the currency that they hold in their exchange are insured against theft and that this insurance policy would cover any customer funds lost, but it’s probably not something that you want to put to the test. Therefore with the stakes being so high, the safest option is to store your currency in a cryptocurrency wallet. But how do these work? Should I choose one that is online or offline? What’s the difference between a hardware and software wallet? And do they come in brown?! 0.1 What is a Bitcoin Wallet? Although referred to as a ‘wallet’, a Bitcoin wallet probably shares more similarities to your online bank account than the wallet in your back pocket. By its very nature, blocks cannot be removed from a blockchain and therefore cannot be ‘stored’ anywhere. However, what can be stored is access to the blockchain in the form of secure digital codes, known as private keys (similar to an online banking PIN number) that, when used, demonstrate ownership of a public digital code, known as a public key, that can be used to access your currency addresses. It is this information that is stored in a wallet. Your currency wallet is therefore a means of storing your access to your currency. Once your private key matches the public key, you may access and use your currency. Aside from the fact that the primary reason that you may want a wallet is to secure your funds, you should also consider how you intend to use your currency. For long term storage for investment purposes, an offline wallet is probably safer, such as a desktop wallet, paper wallet or hardware wallet. However, for everyday use, mobile wallets and online wallets are the most convenient. In addition, many wallets are created only to hold one currency, so if you are intending to store several currencies, you may need to either use a number of wallets or select a wallet that is capable of storing all of your currencies. Below we will consider some of the more popular wallets currently available. 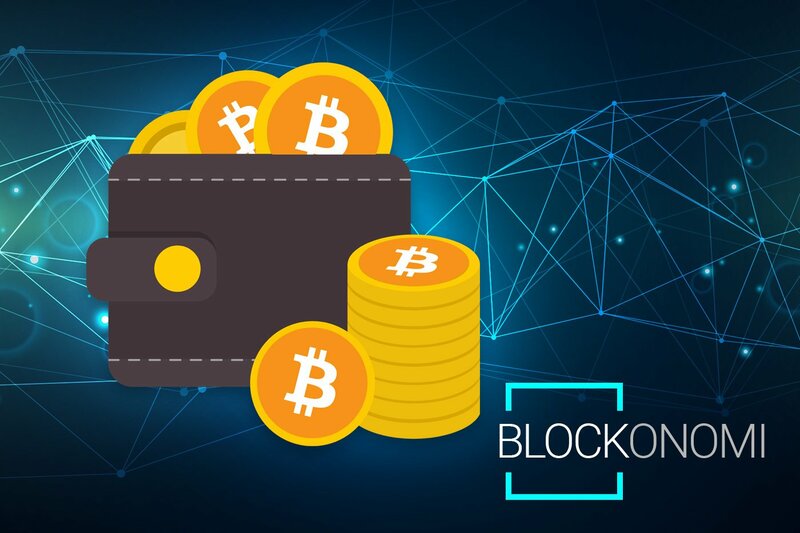 There are a number of different types of wallets that can be used to store cryptocurrency. They come in different formats, designed for different types of devices. You can even use paper storage to avoid having your currency stored in digital format at all. The three distinct categories of wallets available for storing your currency – software, hardware or paper. Hardware wallets are dedicated devices that are intended to provide an additional layer of security to cold storage options such as paper wallets. With a paper wallet, for example, your funds are secure until you use a computer – but if the computer you then use to access your currency is compromised, you could then find your accounts hacked. By contrast, hardware wallets have a secure chip in them (or equivalent) that means when you connect them to a computer to send your currency you never need to input your private key on the computer itself. You simply input a pin code on the piece of hardware, meaning that trading on a compromised computer is safer. If the hardware breaks or is lost, then you can restore your access to your currency on a new device from the ‘seed words’ you receive with your hardware wallet (i.e., a string of random words used to restore your wallet and recover your currency). Although hardware wallets are the most secure means of storing your currency, their price means that whether or not you feel they are worth the investment may depend on the amount of currency you hold. To use hardware wallets, you will first need a software wallet to interact with the device. Although all hardware wallets have their own default software wallets, some software wallets, such as MyEtherWallet, may also be used along with your hardware wallet. Take a look at our indepth guide where we compare the two most popular hardware wallets, Trezor and Ledger. The Trezor hardware wallet is a wallet that can be used for storing a number of currencies, including Bitcoin, Litecoin and Ether. Considered to be one of the safest devices on the market, its user friendliness has made it a popular choice. However, its cost (Trezor retails at $99 / £99) means that it is probably only a realistic option for individuals who have large amounts of currency. The Ledger Nano S wallet is the entry level and most popular Ledger Nano wallet. It is a compact USB device based on a smartcard. It retails at less than the Trezor (prices start at $65 / £55) and you can access your funds using the device without even connecting it to a computer. However, the software is not as advanced as the Trezor and it does not come with some of the other neat little features of the Trezor, such as password management. Desktop wallets are computer programs that store your currency locally on your PC or laptop. One of the primary advantages of the desktop wallet is that it offers complete control of the currency to the users, without having to rely on any third party interface. However, on the flip side of the coin, it means that the entire security is up to you. If you get hacked or compromised or if your computer or hard drive breaks down, you may lose your coins forever. The fear of hacking is one of the reasons that some people prefer to use unused or spare computers that never have access to the internet to store their currency, known as ‘cold’ storage. Mobile wallets operate through an app on your mobile phone. The primary advantage of mobile wallets is that it allows users to quickly access and easily use their coins in a physical retail store. Mobile wallets come in two formats: one type of app stores your coins locally on your phone (and comes with the same advantages and disadvantages as desktop wallets) while the other format of mobile wallet merely provides you with access to online storage servers (which comes with the same advantages and disadvantages as online wallets). Online wallets are web based wallets that can be accessed from anywhere and are thus more convenient as they can be accessed from any device, and may also be linked to desktop or mobile wallets. However, the major disadvantage is that the private keys are being stored by the website owners rather than locally on your device and this type of wallet therefore requires you to put a lot of trust in the owners of your online wallet and their levels of security. There are many different types of software wallets available. Some can store multiple currencies, others are designed to store only one. Some require you to download the code to your device, others provide that most of the processing power required is carried out by network servers. Atomic Wallet is a new multi-asset, non-custodial solution for Bitcoin and 300+ top coins and tokens, that can be managed in an intuitive, user-friendly interface. Atomic Wallet is available for all major OS: Windows, Mac and Linux. Mobile apps for Android and IOS will be released in December, 2018. Apart from the intuitive UI, Atomic Wallet offers a wide range of features, such as decentralized storage for private keys, a built-in option to buy crypto with a credit card, Atomic Swaps, instant exchange via Changelly or Shapeshift and an interface for custom tokens. The Copay Bitcoin wallet is a popular free software wallet that may be used for storing Bitcoin only. It is available as a desktop and mobile (ioS, Android and Windows) wallet and allows for multiple users to be able to access a single wallet. Developed by BitPay, a leading cryptocurrency payment system, Copay is considered to be one of the most secure wallets that is easy to use for beginners and anyone that uses their Bitcoin on a regular basis as a form of payment. The Electrum wallet is one of the first Bitcoin wallets made available. Available as a desktop wallet or on Android, the benefits of Electrum include its speed, its security and its stability. It is also compatible with both Ledger and Trezor hardware wallets as an additional security measure. On the downside however, the user interface is more complicated than some other wallets, especially for beginners, so it may not be the ideal choice as a desktop wallet when you’re starting out. Another free software wallet that is becoming ever more popular is the Exodus wallet. An Exodus wallet can be used to store many of the major cryptocurrencies and also has a built in exchange that allows you to exchange one cryptocurrency for another quickly and easily. However, at present it is not available as a mobile wallet. Available as both a desktop and mobile (ioS and Android) wallet, Jaxx is one of the most popular free software wallets available. It supports Bitcoin as well as many of the other major coins as well as providing for an exchange service within the app where you can exchange one cryptocurrency for another with just a few touches of a button. A paper wallet is simply a printed piece of paper that contains a cryptocurrency address and private key that are accessed using a QR code. The advantages of paper wallets are that they take the form of cold storage, as they are not connected to the internet and thus reduces risk of hacking. In addition, they are also one of the cheapest options for cold storage. However, paper wallets are considered to be more confusing and complicated to set up and use than software wallets and, if you lose the paper wallet and have not created a backup copy, there is no means of restoring your access to your currency. In addition, as stated above, as you still need to use a device to access your currency if you are using a paper wallet, and if your device is compromised or hacked then your currency could still be vulnerable. Finally, if you are regularly using the currency for trading or purchasing products, it can be somewhat of a hassle to access your currency through the paper wallet on each occasion and, if you’re not familiar with how they work, you could end up locking yourself out from accessing your own currency. Although no method is ever truly 100% safe for storage of your currency, the ever-increasing range of wallets that are becoming available provide users with a greater range of products that can be used for storing currency depending on their requirements. If security is your primary concern, choose a hardware wallet. If convenience is most important to you, choose an online or mobile wallet. The ideal method would be to combine a number of options to provide the greatest level of security. For example, if you have $10,000 dollars in savings, you don’t generally carry it around in your pocket all day. This principle applies in the same way to cryptocurrency. For large amounts, perhaps consider a method of cold storage or a hardware wallet, with which you can transfer smaller amounts for everyday use into your mobile or online wallet. Whichever method you use, make sure that you make backup provisions. Although hacking is a real and definite risk in the cryptocurrency world, when it comes to cryptocurrency, there is far more currency lost due to personal carelessness than as a result to hacking. Always keep backups of your details in a safe place. If your wallet has ‘seed’ words, then make sure you never lose them. Very well written article. Appreciate the gentle introduction and explanations for newcomers like myself. Thank you! Would love to see you review SafeLedger+ as a digital paper wallet. It’s new and has been pretty popular so far with everyone who’s used it. Please contact us for a free demo unit. Thanks.